You own one beacon in Gyosha Mall, which is Gyosha City. Currently there are 42 other beacons in Gyosha Mall which are aligned with your Guild, together these 43 beacons make up Gyosha Mall. However, 215 beacons make up Gyosha Syndicate, there are 172 beacons in Gyosha Syndicate which are not aligned with your Guild. These 172 plus the 43 Guild aligned beacons of Gyosha Mall make up the larger settlement of Gyosha Syndicate. The Guild owns the highest amount of prestige in Gyosha Syndicate so it is the warden. You are the director of the guild so you can rename both settlements. That’s how I read it anyway. You should be able to rename the guild settlement to the same name as the main settlement. I think you can click on the bar in your screenshot to expand details and there’s a rename button there (as long as you have the permission to do so within your guild). That or maybe you do it from the guild book, I can’t remember exactly. Updated OP with details of fixes for Footfall and Guild Chat today. I’m trying to hide my shame that I’ve needed to post 10 updates!! In all my years of gaming, I’ve never known a game to be bug free after a major update. No shame need be felt. 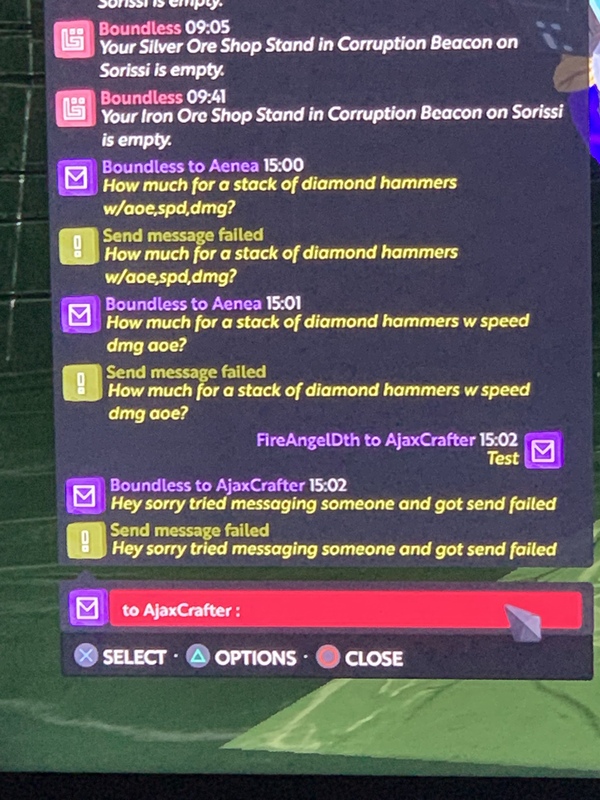 Having issue with Guild Controlled Beacons. We are not able to change the Settlement name any more. Seems that only the Owner of the beacon can set the Settlement name, even though it is fully guild controlled. We were able to change the Guild Controlled Beacons Settlement name in 210, but not able to in 211. What permissions do you currently have? I am gonna talk for him since we are from the same Guild and have same permission. We have the director permission in the faction that the beacons are aligned to. Like he said we were used to be able to change the settlement name for the controlled beacon before patch 211. Now only the beacon owner can do it. Yep - this is broken and needs fixing. We couldn’t reproduce this issue on our end now, so would you be able to check this again with the current update that was released?